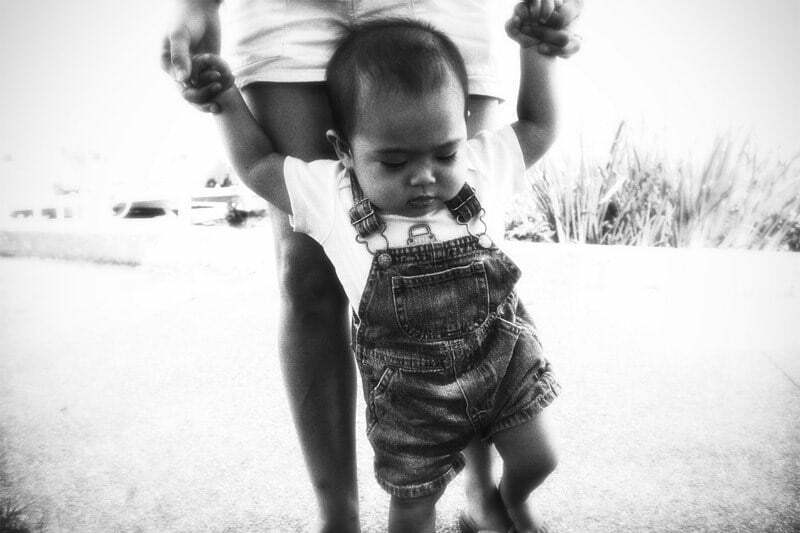 Have you ever taught a baby how to walk? 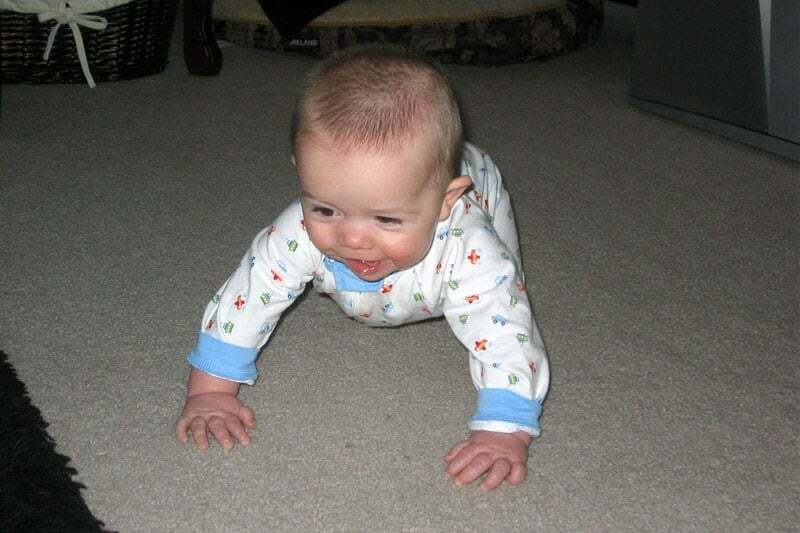 According to BabyCenter, most babies take their first steps between 9 and 12 months old and walk by the time they’re 14 or 15 months old. Some babies take longer, walking only when they’re 17 months old, though it doesn’t mean there’s anything wrong with them — it’s simply different babies needing different time for development. For the next six months, you devote all your time to teaching him how to walk — first holding his hand, then coaxing him to stand, then getting him to walk with support, and then slowly letting go. But every time you do the last step, he stops, wobbles, and then falls flat on his face. Now, so why is it that so many of us don’t do the same when it comes to our goals? I first heard this baby-walking analogy from a Jim Rohn clip years ago. While he didn’t put it in quite the same way I did above, the message is the same — that none of us, as the mother/father of our child, will ever give up teaching our own baby to walk, no matter what happens. Why? Because that’s our baby we’re talking about. Whether he/she is taking a long time to walk is irrelevant. All that matters is that we keep teaching and guiding him/her, period. Even if he/she doesn’t show any improvement after months, we will. Just. Keep. Pushing. Forward. Right to the day he/she walks, after which we’ll rejoice as proud parents for our dear child’s victory and success. Yet, when it comes to our goals and dreams, most of us are often ready to throw in the towel and declare, “That’s it, this is not working out, and I’m going to give up and stop doing this,” as quickly as after one to two months of trying. For example, losing weight, being healthy, pursuing our passion, starting our business, finding our ideal relationship partner, building our blog, and so on. For some of us, it’s even worse — we give up before we even start! Have you thrown in the towel on your goals before? I remember one of the defining moments that helped me to plunge headfirst into my passion was when I asked myself, What do I want to be doing five years from now? At that time, I was still in my day job. My answer then was, I want to be pursuing my passion and raising the consciousness of the world. Not doing whatever I’m doing now. However, a key block preventing me from moving forward was not knowing what to do if I didn’t succeed — and after quitting my job no less. Embarrassment and scrutiny aside (which were lesser issues to be honest), I thought I would have jeopardized my professional career since I would have quit my job mid-way, after only two years into the role. By then, I would have entered into a deadlock where not only did I not succeed in my passion, I would have also thwarted my default career path compared to if I had just stayed on in my day job. The thought of failure was paralyzing, honestly. As much as I wanted to pursue my passion more than anything, and as much as I wanted to devote all my mind, body, heart, and soul to my passion, I couldn’t guarantee its success since I don’t control the world. There’s no way I’m going to quit [my job] with these huge potential downsides, I thought. None of the “just do it!” spiels too, because I don’t believe in taking large risks without first having a solution for them. As it turned out, the solution for this deadlock was quite simple, and required a simple perspective shift. So I asked myself, Okay, so what if the worst-case scenario happens? I.e., what if I quit, spend a year or two working on my passion, use up all my savings, and make no headway? While I can keep pushing myself forward, I mean, how am I supposed to survive without money? My answer was then to logically return to the corporate world to earn more money. …And then? What’s next? I thought. Do I then remain in the corporate world and continue working there? No, of course not! was my immediate comeback. I’ll just work for at most one to two more years (or however long it’s going to take to accumulate some savings). And then when I earn enough to sustain myself for another year or two, I can then quit again to pursue my passion full throttle, just like what I’m going to do now. In the meantime while I’m in my corporate job, I can still work on my business part time, such that it won’t be on a standstill. And then, if I run out of savings again after quitting, I can simply repeat the cycle of working to accumulate cash. And then quit *again* a year or two later to pursue it. Then rinse and repeat until my passion takes off. Bingo. There was the answer, all along. What had liberated me was by not seeing my passion as a one-off pursuit, but rather, a process to be undertaken. Rather than think about it as a venture that I needed to realize in one or two years, I should see it as a life-long journey, with my exit from the corporate world as the first of many steps to making my passion happen (something I’ve previously shared here). It’s a process, not a race. And from there on, working on it, for as long as it takes, right to the point when it takes off and beyond. Now, returning to the baby-walking example, the point is that when it comes to our baby, we will do everything in our power to help him/her. We don’t give up on our baby just because he/she isn’t walking after X weeks or months or even years… all that matters is that we devote ourselves to teach him/her to walk, for as long as it takes. And that’s why he/she will eventually walk. That’s why all babies eventually walk. Because their moms and dads never once gave up on them. Because their moms and dads have always been by their side, nurturing them, supporting them, and guiding them every step of the way. Similarly, when it comes to our goals, it’s about recognizing that they are no different from our baby… that they require our nurturing, support, and guidance, every step of the way. That we give them our undivided attention, for as long as it takes, in order for them to blossom and grow. For some of us, perhaps we have given up on these goals. That’s fine. If there are ever goals that don’t fit our purpose and values, or if there are goals that are taking more effort than what they mean to us, then we should drop them for sure. However, if these are goals that are important to us, that will make a permanent difference in our life… then we really shouldn’t (give up). Because the worthiest of goals aren’t going to get accomplished the first try. In fact, the worthier and grander the goal, the more resistance we’ll face, and the more time and effort we need to put in to ensure their success. This is where designing a plan, crafting a strategy, coming up with a counter-plan for our obstacles, and setting an action plan are critically important. By pursuing our goals deliberately and consciously and giving them our undivided time and attention, it is a matter of time before they take off. After all, which of us managed to walk flawlessly when we were a baby, without wobbling, stumbling, and/or falling, in our first try? Probably none. A baby’s first step. Do you remember yours? So, why should we expect our goals to take off in our first try? Just like how a baby is expected to wobble, stumble, and/or fall in his/her first few attempts to walk, we shouldn’t be shocked and dejected when we wobble, stumble, or even fall in our goals. Rather, we should realize that wobbling, stumbling, or even falling is the norm, and instead devote ourselves to investing time and energy to making them succeed. Let’s give our goals the chance they deserve. Let’s not give up on them and declare them “unachievable” when they’ve always required more time and energy than we’ve ever invested into tackling them. For the most important of goals and dreams — such as reaching our ideal weight, being a healthy eater, turning our passion into our career, fostering the most important relationships of our life, finding that ideal relationship partner, achieving a personal or professional milestone that is important to us — sometimes, “as long as it takes” may well be the length of time we need to devote for them to eventually take off.